The Texas Stars (9-6-2-1, 21 pts, #4 Western Conference) had a mixed bag week, collecting just three of a possible eight points over four games. Their two weekend contests were solidly defensive, something that the Stars have had trouble with recently as they allowed just three goals between the two. In the other two games, however, Texas allowed a total of twelve goals against. 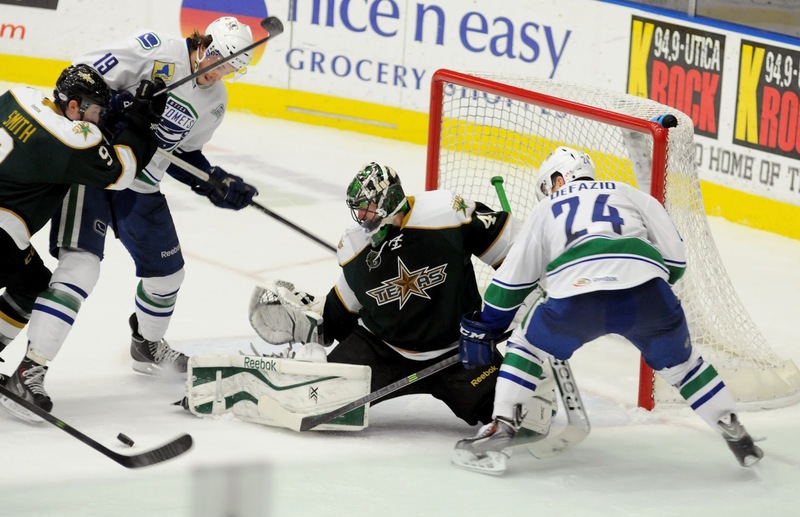 "We can't try to outscore teams 6-5," said Texas coach Willie Desjardins last week. "We have to start holding teams to one or two goals. Our penalty kill also has to get better."